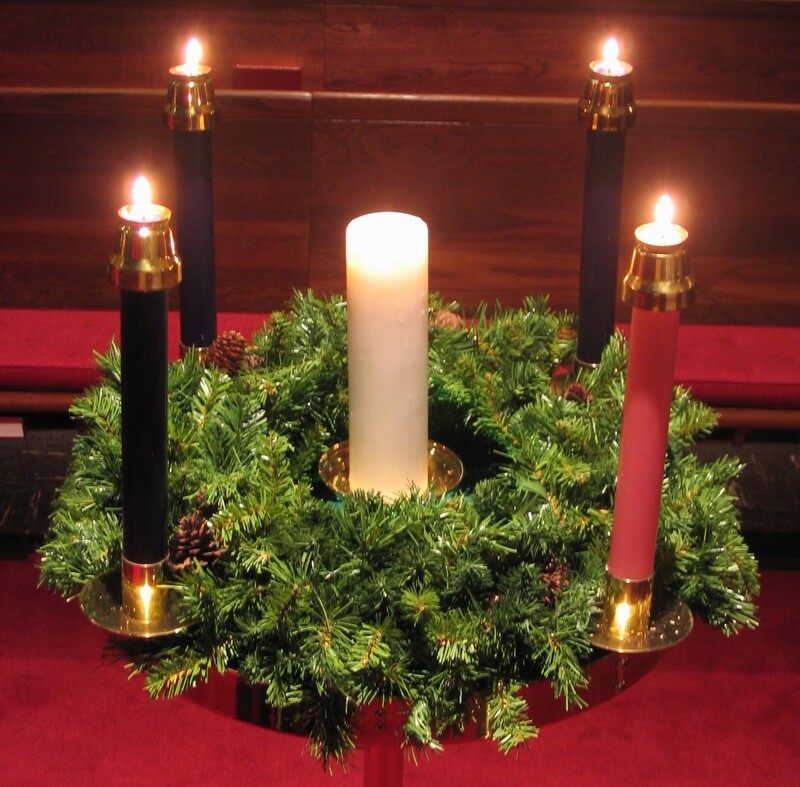 The wreaths often featured a fifth candle in the middle or separately which is lit on Christmas Day to represent the coming of Jesus – the light of the world. 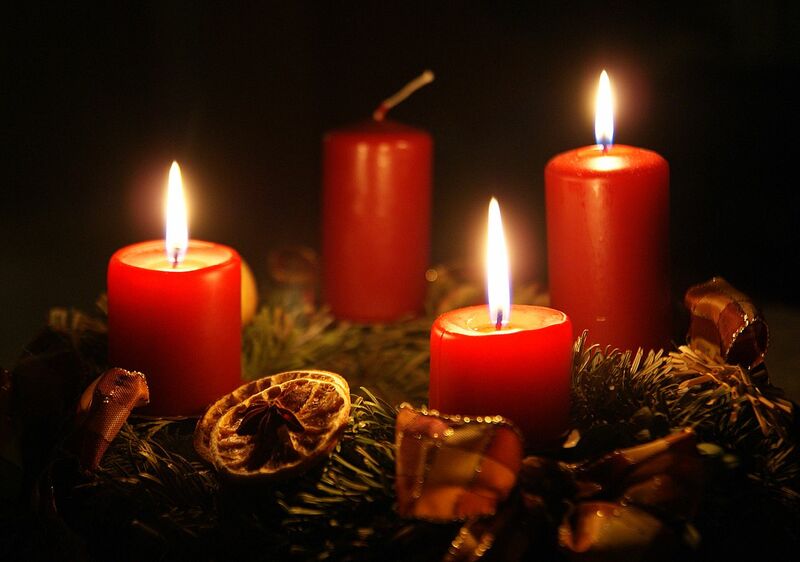 In Germany this fifth candle is lit on Heiligabend (Christmas Eve). Whilst this tradition originated in churches, many German households have their own Advent Wreath. It is, as is tradition, a green wreath, often decorated with ribbons, coloured pinecones (such as silver or gold), dried fruit and holly leaves. 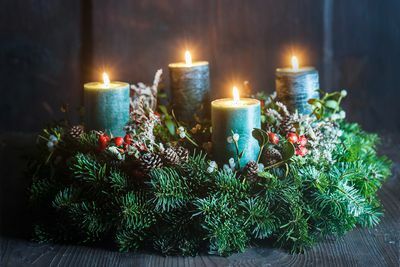 Families and friends often gather on the Sundays leading up to Christmas and enjoy eating cake and drinking coffee or hot chocolate whilst watching the candles on the Advent wreath burn.